What is woo discount rules compatibility plugin ? It is an easy, simple plugin developed by our team that manages compatibility with discount rules and third party plugins. Why woo discount rules compatibility plugin ? It removes the need to add custom snippets to your theme’s functions.php file. When there is a theme update, what happens is that all the overwritten files will be erased and you again have to add the snippets which is confusing and time consuming. This is a one time activity and after installation, all you need to do is just one click. 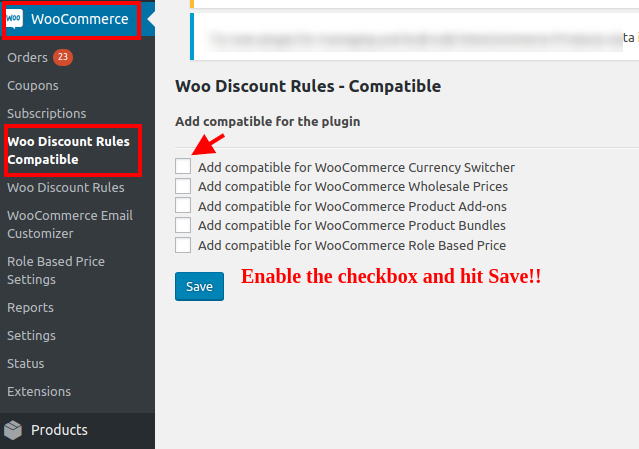 How to download woo discount rules compatibility plugin ? Navigate to plugins --> Add new --> Upload Plugin. Choose the zip file and click on install now. On click of "install now", the plugin will be activated. 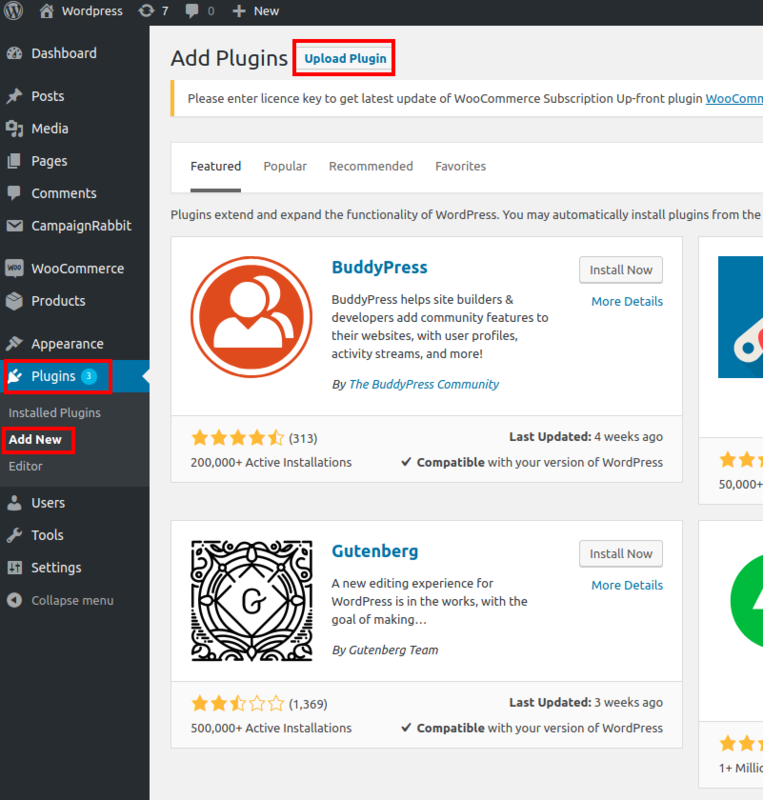 You can see the plugin under Woocommerce Section and all the plugins that has compatibility will be listed. All you need to do is click (enable) on the necessary checkbox and click on Save. That's is all, the discount rules is now compatible with the desired plugin. Only if the third party plugin is activated, that plugin will be listed in woo discount rules compatibility plugin. Even after adding the compatibility, are you still facing any issues ?